Blue is a very popular color on first-generation Camaros, and for good reason – it looks fantastic! We are currently working on three different blue Camaros in the V8 Speed & Resto Shop. The '69 in the foreground is Jet Stream Blue, the '69 on the lift is in Lemans blue, and the '67 in the background is a custom mix. We might have the Camaro blues, but we dig it! 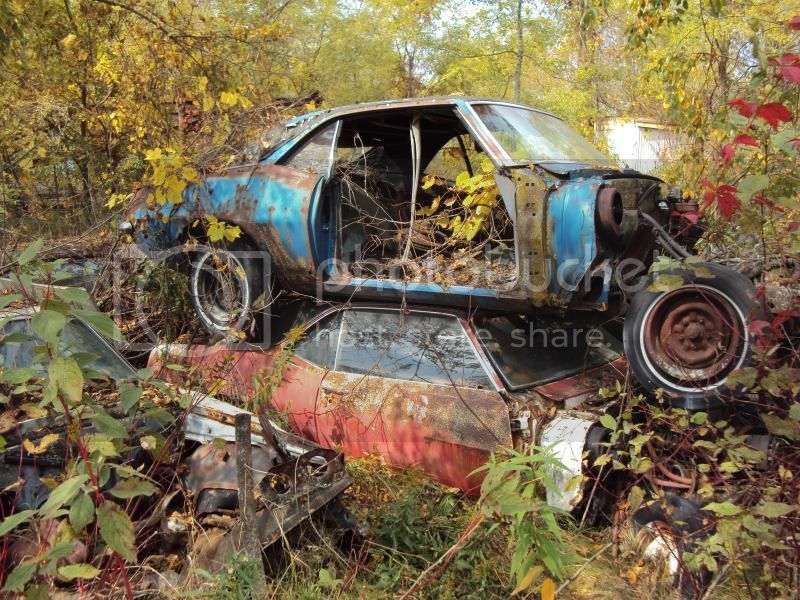 This was posted on Pro-Touring.com... someone is hoarding a load of 1st generation Camaros and Firebirds. Sad to see! Click the pic for more! The 1968 Camaro "Reloaded" built by the V8 Speed & Resto Shop was invited to participate in the Pro Builders Shootout at the 2014 Car Craft Summer Nationals in St. Paul, MN. You can see the car and read the coverage of the event in the December 2014 issue of Car Craft Magazine!